CCUSA provides “working holidays” and other employment opportunities to international students and adults around the globe. Headquartered in Sausalito, California, the company works with hundreds of independent agents worldwide to coordinate visa applications and place participants in summer camps, professional skills-building programs, and other short-term positions in the United States, Canada, Australia, New Zealand, Europe, Brazil, and Russia. Since the company was founded in 1985, CCUSA has served over 200,000 participants worldwide. As an internationally recognized provider of overseas employment opportunities, CCUSA makes it a top priority to offer a superior program experience. This commitment to quality starts with the very first step in participating in one of the company’s programs—filling out an online application form. 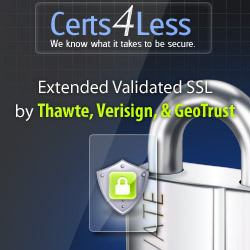 In order to protect personal information and payments, as well as bolster its reputation as a company that participants could trust, CCUSA needed to find an SSL Certificate solution that offered brand name recognition at an affordable price.